It is hard to experience an instrument by Matteo Goffriller, either visually or sonically, without being swept back into the glorious world of Venice at the beginning of the 18th century. Matteo Goffriller (1659-1742) was one of the most talented young German violinmakers to “come down from the hills” and settle in the commercial and cultural centers of Italy. German guild restrictions, at odds with diverse economic opportunities in Italy created a flourishing artistic environment for self-starters. For young Matteo, shifting political alliances and economic uncertainty around his alpine home in Bressanone near Bolzano limited his working potential after his probable apprenticeship to Matteo Albani, and he would likely have been conscripted into one army or another. Relocating to the Republic of Venice also offered its citizens the advantage of neutrality from the constant tussle of the Spanish, French and Hapsburg Empires. In Venice by 1685, Matteo apprenticed himself once again to a “Violin Master”, and this time had the good fortune to choose a highly successful master in fellow Tyrolean Martin Kaiser, and marry his daughter Maria Maddalena. Kaiser’s business acumen, prime shop location (next to a prestigious theater) and the continuous transition of musical styles from viol consorts to violin family string orchestras proved beneficial in all aspects of Goffriller’s development. After inheriting Kaiser’s shop in 1690, Goffriller continued to set the standard for the “modern” Venetian violin and cello, instruments that merged the finest attributes of Füssen and Tyrolean construction with a decidedly Italian aesthetic, bathed in superb red varnish. Like the slightly older Stradivari, Goffriller experimented on improvements to his instruments throughout his long life. We are fortunate to have a stunning example of Goffriller’s middle period, owned for 61 years by the English violinist Barbara Penny (1929-2007). Penny broke the glass ceiling in London by becoming the first female violinist invited to join the string section of the Royal Philharmonic Orchestra. She was also heard as leader (concertmaster) in several ballet orchestras and was a long-time member of the London Mozart Players. 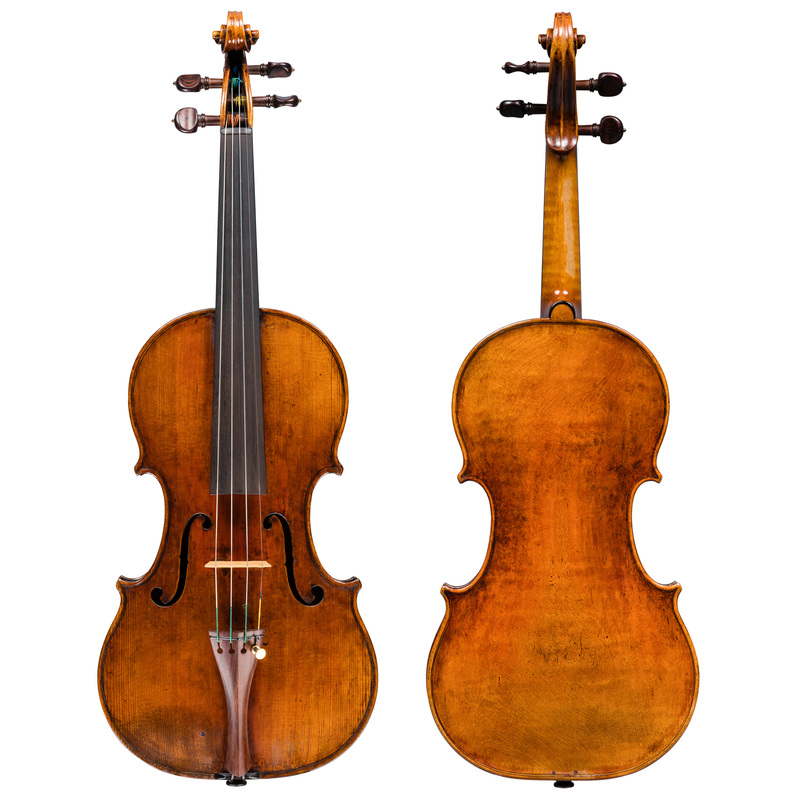 She alternated between two violins, both made in the early years of the eighteenth century by two excellent makers keenly aware of each other’s art; a c.1700 Stradivari and the c.1715 Goffriller presented herein, both acquired from the prestigious Hill shop of London.